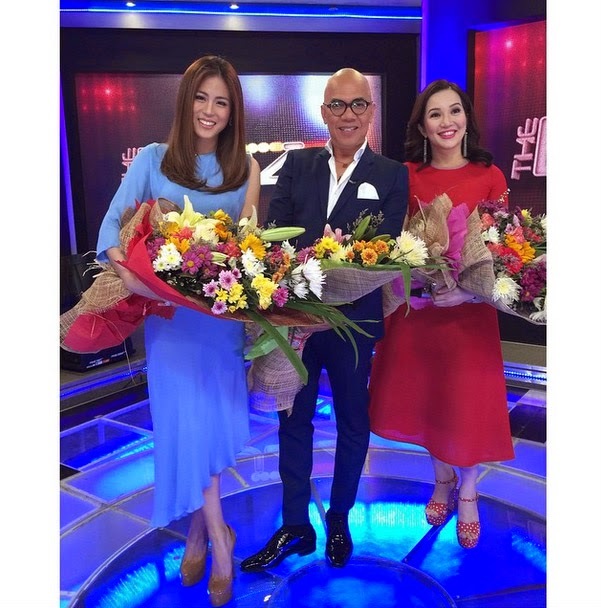 MANILA, Philippines - ABS-CBN's longest-running showbiz-oriented talk show 'The Buzz' takes a break as officially announced on its April 5,2015 episode. Host Boy Abunda on Sunday said that the 15-year old show will cut off air temporarily to reinvent a new format that will fit in today's generation. "After more than 15 years of unparalleled credibility as Philippine television’s leading showbiz-oriented talk show, The Buzz takes a break after its April 5,2015 episode. The program recognizes the evolution in showbiz news reporting, and to cope with it, The Buzz deems it a necessary step to reinvent to start anew. Showbiz news will never die. The showbiz talk genre remains," official statement from ABS-CBN said. Since the program began, The Buzz has gained the authority of being the premiere source of truthful and balanced entertainment news for the Filipino audience worldwide. "As the program bids farewell for now, The Buzz would like to thank its loyal viewers for the support they have given the show in its entire run. See you again soon," the statement ended. Netizens said that the official statement implied that 'The Buzz' will be relaunched soon.